Shell has operated in Gabon since the early 1960’s when it discovered oil in the Gamba area. It currently produces some 65,000 bbls of oil a day from five fields. Gabon has 2 billion barrels of proven oil reserves, the fourth-largest in sub-Saharan Africa after Nigeria, Angola, and Sudan. The country’s production of crude oil and lease condensate has decreased by about one-third from its peak of 370,000 bbl/d in 1997 to 246,000 bbl/d in 2010. Most of Gabon’s oil fields are located in the Port-Gentil area and are both onshore and offshore. Historically, Gabon’s oil production has been concentrated in one large oil field and supported by several smaller fields. As the largest field matured and production declined, a larger field would emerge and replace dwindling production. Dominant fields have included Gamba/Ivinga/Totou (1967-1973), Grondin Mandaros Area (1974-1984), and Rabi (1989-2010). Gabon’s greatest success, the Rabi Oil Field, significantly boosted the country’s total output in the 1990s and reached 217,000 bbl/d at its peak in 1997. Although Rabi is still one of Gabon’s largest producing fields, it has matured and production has gradually declined to about 23,000 bbl/d in 2010. Since Rabi’s descend, a new large field has not yet emerged, since recent exploration has yielded only modest finds. The success of Delton’s projects with Shell in Nigeria led Delton to being listed a preferred provider of technical manpower, competency and training services for Shell Global Solutions. Shell Gabon awarded Delton the contract to conduct training, assessment and verification services in Rabi and Gamba, following this the Delton experts are required to train and certify a number of local assessors. The 4 assessors are primarily field based to conduct site assessments and carry out any remedial training, where required, for Field Staff (Operations and Technicians) and additionally transfer assessor competencies to Shell Gabon personnel within an agreed time frame. 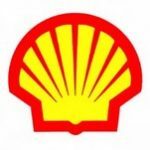 The Shell Gabon existing and newly trained Assessors will need ongoing training and coaching for around 18 – 24 months.